The NSW Agency for Clinical Innovation briefed Hopping Mad to create the Volunteer Training Handbook. 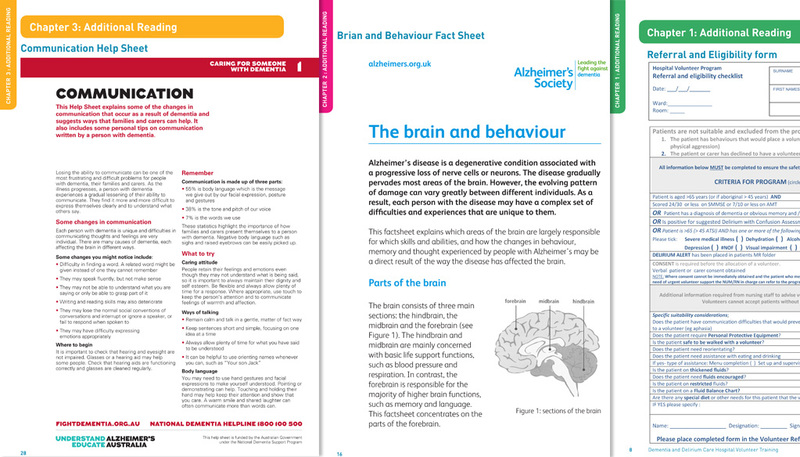 The handbook was typeset and styled within the Agency’s document style template, with colour coding for each section. Both Word and Pdf versions of the document were produced, with sets provided on branded flash drives.